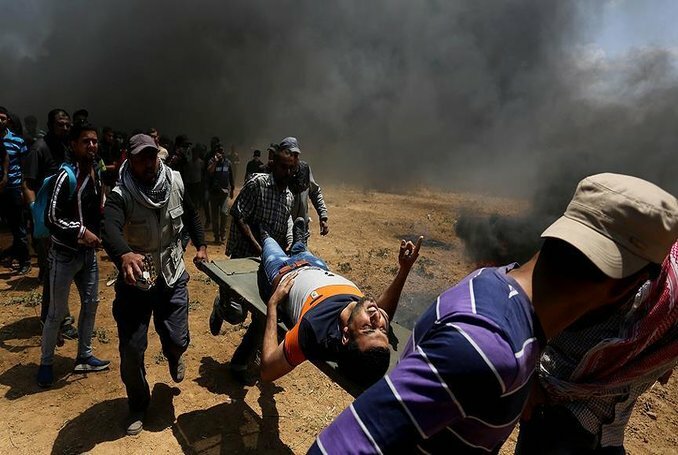 An Israeli warplane carried out an airstrike, on Tuesday, targeting a group of Palestinians east of Beit Hanoun in the southern besieged Gaza Strip. 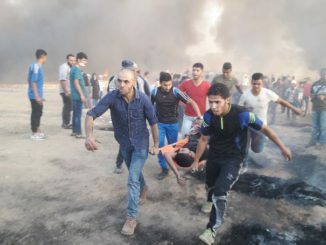 A Ma’an reporter said that an Israeli warplane fired one missile towards a group of Palestinian youths in northern Gaza; no injuries were reported. Meanwhile, locals reported that Israeli military bulldozers entered dozens of meters into the south of Gaza City, razed and leveled lands. 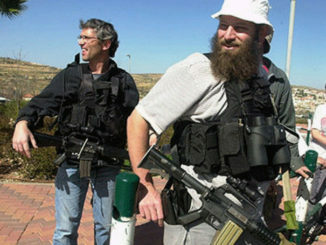 A Ma’an reporter said that four Israeli bulldozers entered near the return camps, while drones flew overhead. 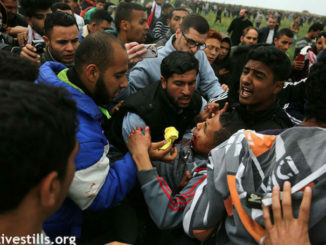 Israeli military incursions inside the besieged Gaza Strip and near the “buffer zone,” which lies on both land and sea sides of Gaza, have long been a near-daily occurrence.